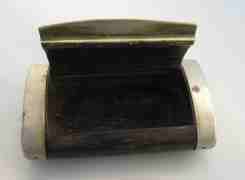 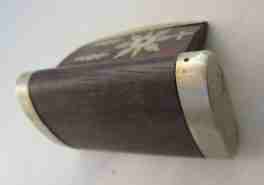 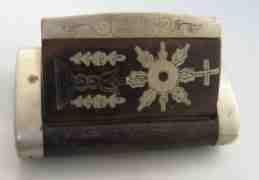 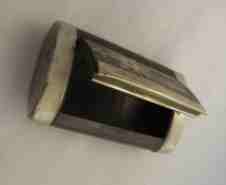 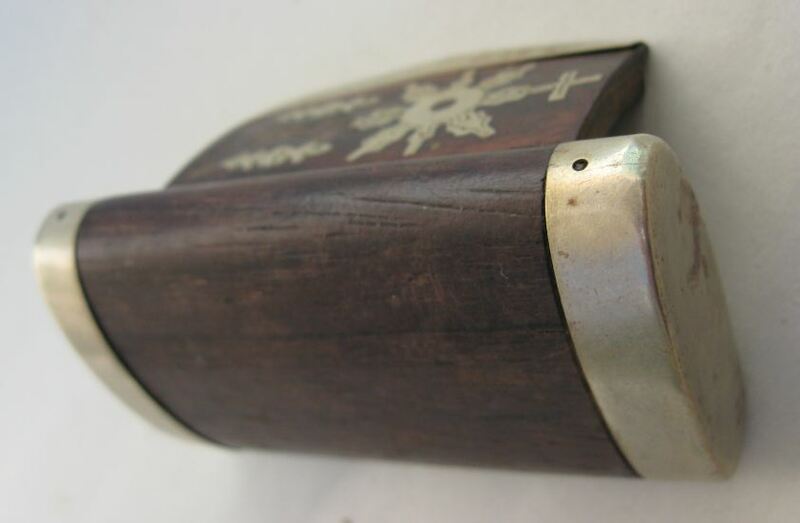 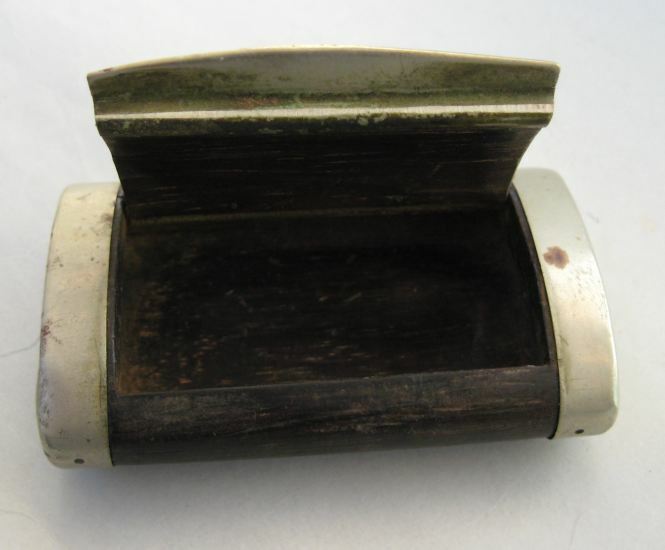 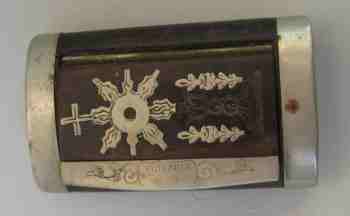 this is a wood snuff box of oblong rounded shape with white metal refinements on the sides and on the lid. 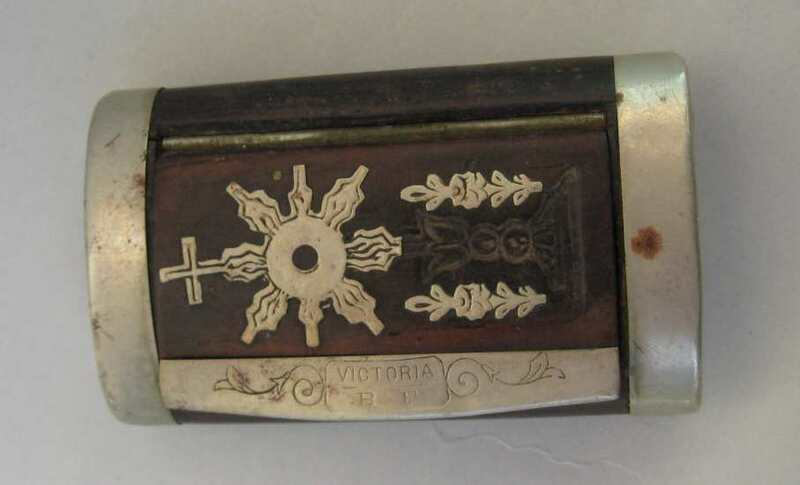 The lid is decorated with a white metal Roman Catholic Church monstrance (ostensorium: partly rubbed) encrusted on a wood base. 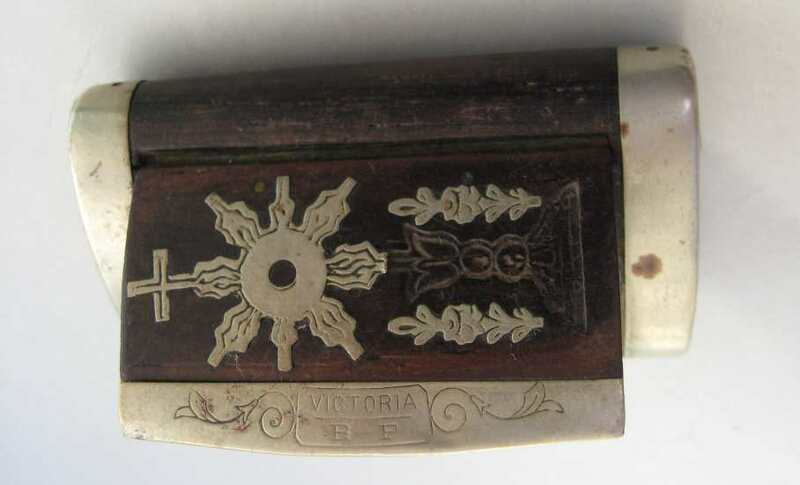 The reserve on the white metal lid's edge is engraved "VICTORIA" over "B.F."
Unknown are its age and provenance. 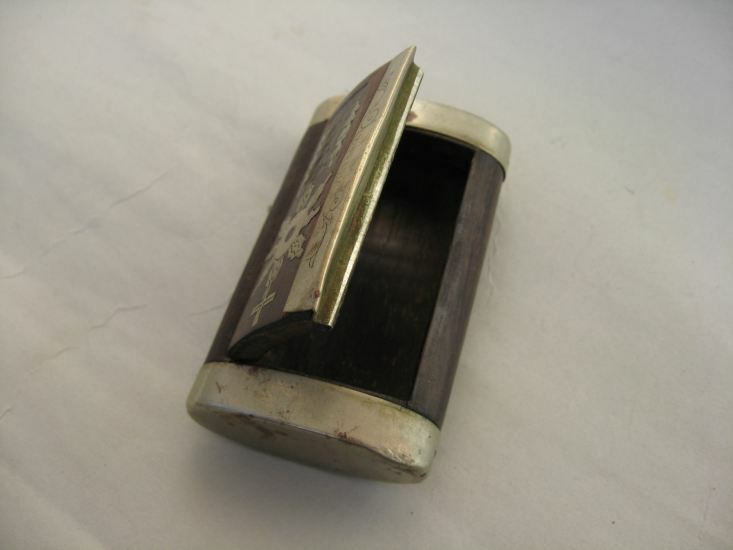 The snuff box measures 2 3/4 x 1 1/2 in (cm. 7 x 4,5) and was bought from an Italian dealer in an antique market.